Sold by VinTeameu and Fulfilled by Amazon. Gift-wrap available. Sold by VinTeameu and sent from Amazon Fulfillment. 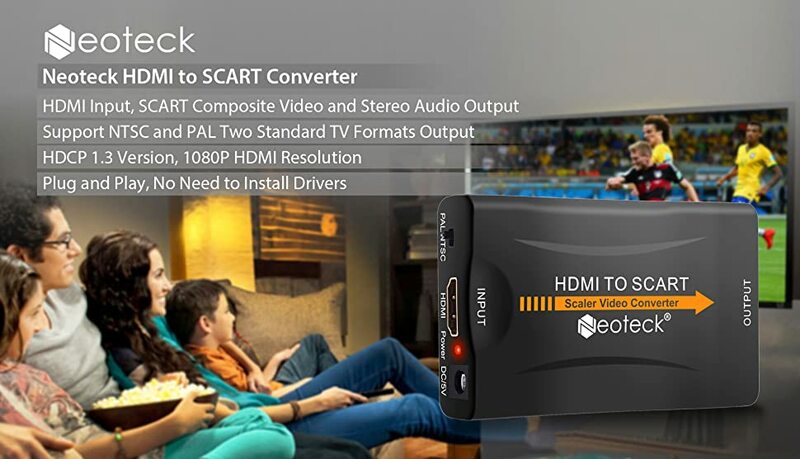 Overview: The Mini HDMI to SCART converter which will convert digital HDMI video and audio signal to composite video signal and the FL/FR stereo audio signal, while support DVI system sideline signals. 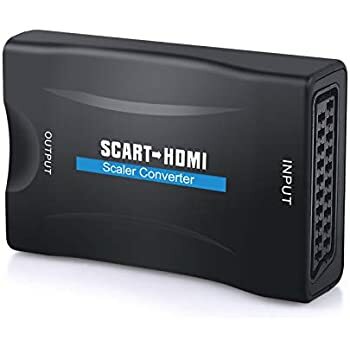 -This item is a HDMI to SCART converter, which can NOT be used in reverse way, supports PAL/NTSC output and the HDMI input resolution up to 1080P, but NOT 4K. - We recommend you to use PAL mode in Unit Kingdom as the TV system of Unite Kingdom is PAL. 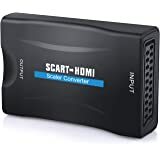 This has solved the problem of getting a nowtv box (hdmi) working with an old tv (scart). 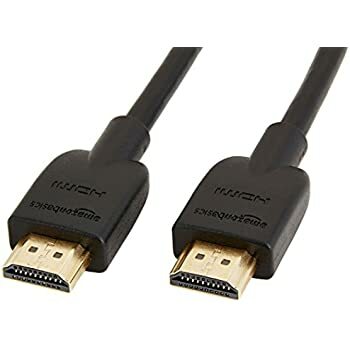 The only reason for withholding one star is that this item requires power and you are only given a USB lead with no mains plug - you have to supply your own plug. 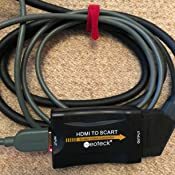 Luckily I had an old iPhone power plug that seems to do the job but unless you have a USB power port on your tv (unlikely if you are converting an old tv) then you will need to find your own plug to plug it in to the mains socket. 5.0 out of 5 starsConverts HDMI to SCART... perfect! 2) No way to have a signal sent to both my HDMI TV and the RF transmitter at the same time. 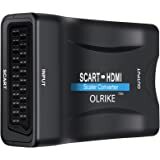 So I bought this and a HDMI splitter that duplicates the signal which for me was very important, as most splitters are many inputs to one output (for TVs with only one HDMI socket) and it works perfectly. It comes with the power lead, so nothing else needed, except perhaps an extra HDMI lead, if you need it. 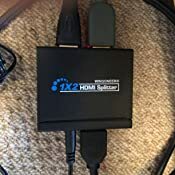 If you want to convert a HDMI output into SCART, I highly recommend this product. 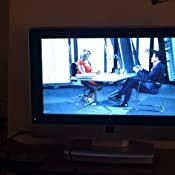 Worked first time no problems on my old Panasonic TV without HDMI ports only scart.Picture quality not HD but fine for watching TV films reason for 4* review not 5* and because Fire Stick remote is a little bit slower than on my other newer TV. 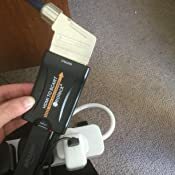 There is no power plug with the device but as suggested by another reviewer I used an old Apple plug with a HDMI port (see picture). 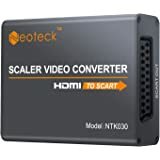 4.0 out of 5 starsAn ideal upgrade for a connection from a Sky Q Box to a DVD recorder. 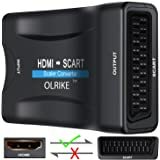 I was looking for a way to record programs onto my DVD Recorder via the Sky Q Box and tried other solutions in the chain but never worked out until I received this. This in my opinion, is the way to do it as the new Sky Q boxes do not have a SCART outlet, just an HDMI out. 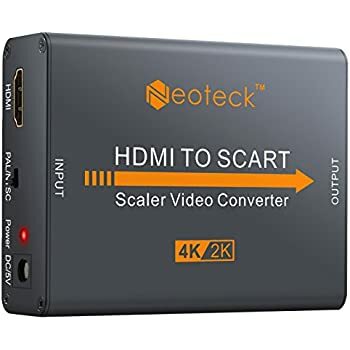 If anyone wants to upgrade their system (ie Sky Q box via DVD recorder) I would recommend this item. 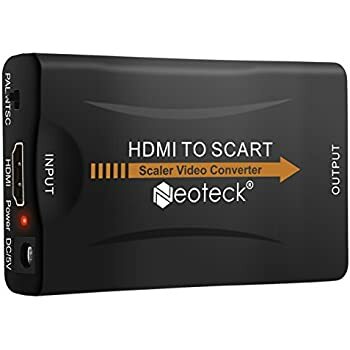 (Also I like to add, you may need to buy an additional HDMI cable, possibly a shorter one, along with a SCART cable to your DVD recorder and you may also need an HDMI 2 way splitter box if necessary, hope that helps). We have a Sony tv that we bought new in 2000. 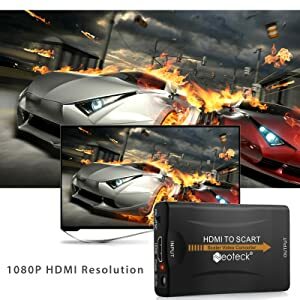 It works perfectly, and because of the superb picture quality, we have no wish to replace it with a new Smart HD TV set. However, our Humax Freesat box recently died, and was replaced with their latest 1100S model. 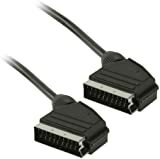 Naively, I expected to be able to plug this in in place of the previous box, but where there were only SCART sockets on the old box, there are only HDMI sockets on the new one. 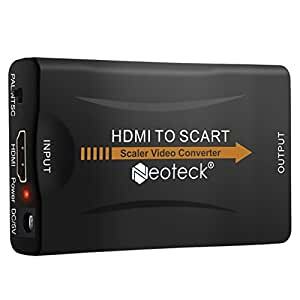 I came across the Neotec HDMI to SCART converter on Amazon, which had excellent reviews. Long story short, I bought one, and am now able to watch my tv again. Fitting is dead simple, and there is no loss of picture or sound quality. I do have one small criticism, there is a red 'on' light on the Noetec converter which I find is excessively bright, but I subdued it by putting a strip of black insulation tape over it! 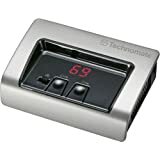 I would definitely recommend this device. 2.0 out of 5 starsUseable, just! Easy enough to install. 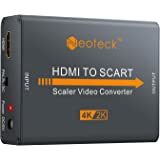 I am no geek when it comes to picture quality which is why I am still using a TV that requires more HDMI connections and not upgrading to 4K until these TV breaks. I point this out so when I say the picture quality from this unit is poor you realise I am not comparing to the best TV's around. Pic quality is watchable, just. I tried all settings and put various devices through it and every time the pic was very faded and slightly fuzzy. I have removed it and still having to swap cables in the back of the TV when I want to use different devices. Overall I would not recommend this unit to anyone I know. 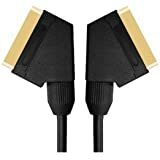 4.0 out of 5 starsDoes not work with Amazon TV Stick. Newer version needed. The instruction manual is so small that to read the print and diagrams I needed to use a magnifying glass app on my phone! This is why I have only given it a 4 out of 5. 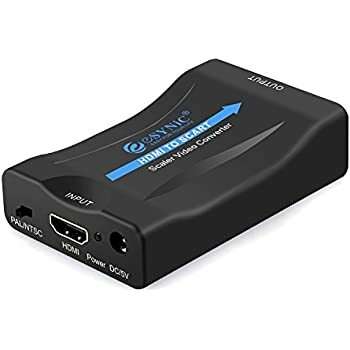 I bought this because I was going to a friends to cat sit for a week and she didn't have her TV connected to an aerial so no TV channels. 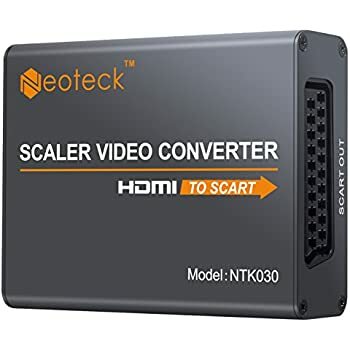 I wanted the Converter to use with my Amazon Fire TV stick but it didn't work. A Google search resulted in me finding out I needed the newer version. It would have been very useful if I'd read this on the Amazon site as the newer version was available on Amazon. That said, I was able to use it for my laptop to TV. Though the picture and sound wasn't clear I think this was more to do with the cheap HDMI cable I used rather than the Converter. 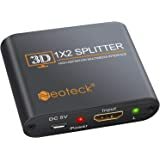 Bought to connect new virgin box with hdmi output to old tv (with no hdmi). 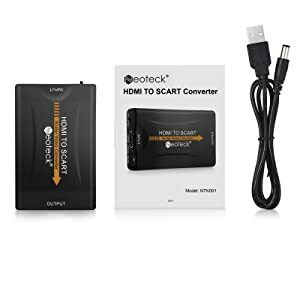 When I first connected this item the brightness of the picture seemed to fade up and down randomly and I thought I was going to have to return the item. However, by the next day it seemed to have settled itself in and is working fine now. The picture is as good as it was using the scart output of the old virgin box. I would say we seem to have the audio up a few more notches on the tv than we used to. No usb mains adaptor but all of these hdmi devices (including virgin boxes) have usb sockets on the back anyway. Hides tidily behind the virgin box and can forget it’s there and let it do it’s thing. 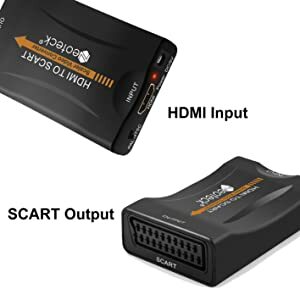 All in all there’s no reason not to purchase this for converting from hdmi to scart.